The slow-moving system that just generated almost 200 reports of damaging storms produced two tornadoes in Texas and one in Mississippi in addition to flash flooding up through Arkansas, which at one point saw 8 inches of rainfall over a very short time period. That system today is pushing farther east, with severe storms possibly stretching from the Deep South up into Virginia. 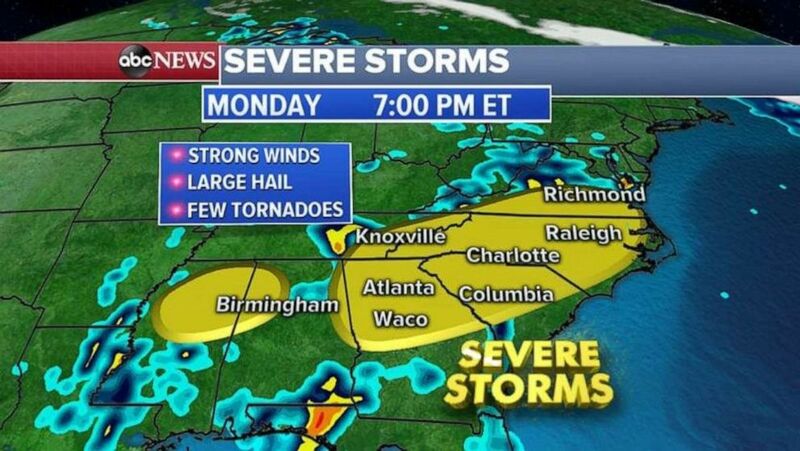 Damaging winds, large hail and potential tornadoes remain the key threats. Flash flooding is likely in the South as well. (ABC News) Severe weather is pushing farther east tonight. Over the weekend, more than 7 inches of rain fell in southern Oregon and Northern California, where several rivers are coming out of their banks, prompting evacuations near Eugene. This occurred as another storm is forming over the Pacific Ocean that's likely to deliver more precipitation to the just-saturated West Coast. 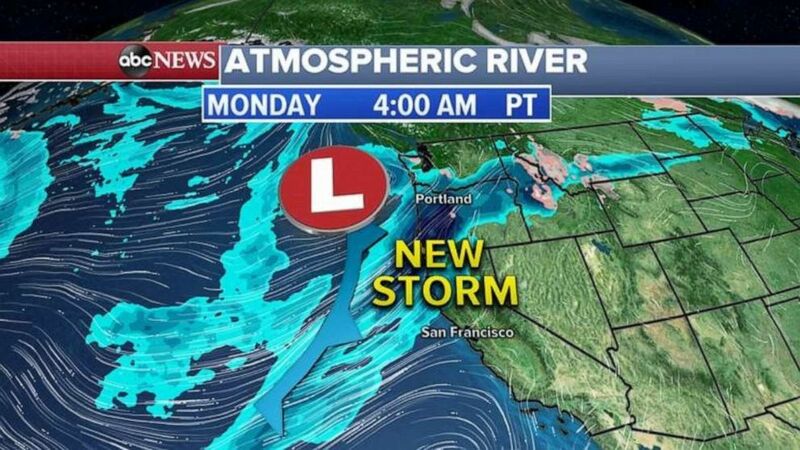 (ABC News) Another new storm is forming near the West Coast. By midweek, this new system will reach the central U.S. and deliver a major snowstorm stretching from the Plains into the Great Lakes, with the South seeing even more heavy rain. 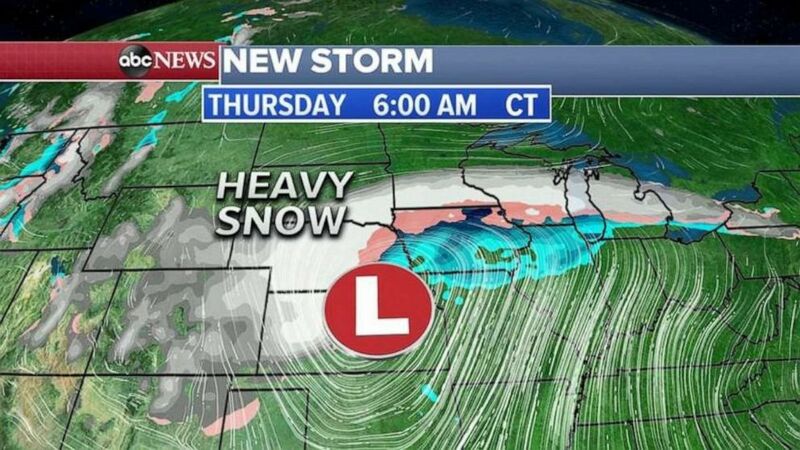 (ABC News) The Midwest is bracing for a potentially massive blizzard.